What does the word “sustainable” mean in discussing resource extraction and sustainable Arctic communities? 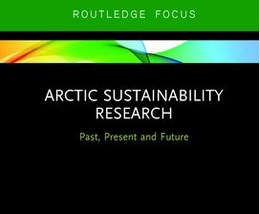 This book explores the history, current state of knowledge, and the future of sustainability research in the Arctic. REXSAC researcher Annika E. Nilsson is part of the interdisciplinary author team that identifies key knowledge gaps and provides salient recommendations for prioritizing research in the next decade.